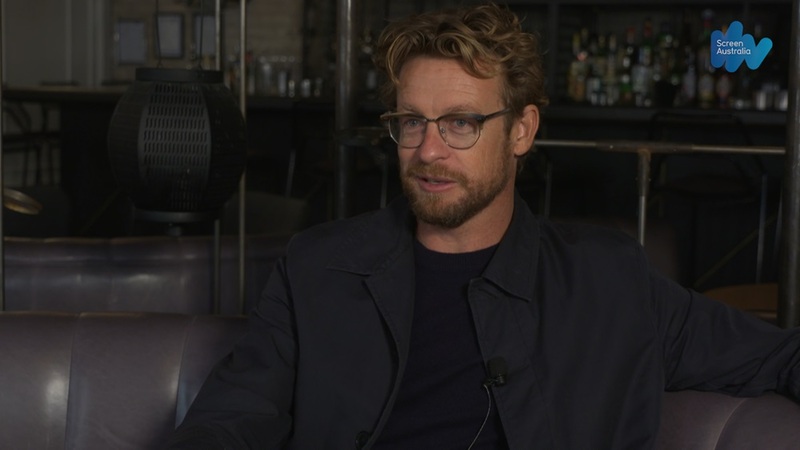 Director Simon Baker on making an Australian first-time feature after two decades acting in the US. You’ve heard of the saying ‘write what you know’? Well, it also applies to debut feature directors, says Breath’s director, star, co-writer and co-producer Simon Baker. Baker was first sent Tim Winton’s novel Breath by veteran Hollywood producer Mark Johnson (Breaking Bad, Rain Man) who was interested in turning it into a film. Baker, who grew up in coastal NSW town Lennox Head, says it had a “profound effect” on him. “It felt very familiar and very close to me,” he remembers. “I know now after this experience that on your first film I think it's very, very important that you work on something you know well and you feel very confident [in]. 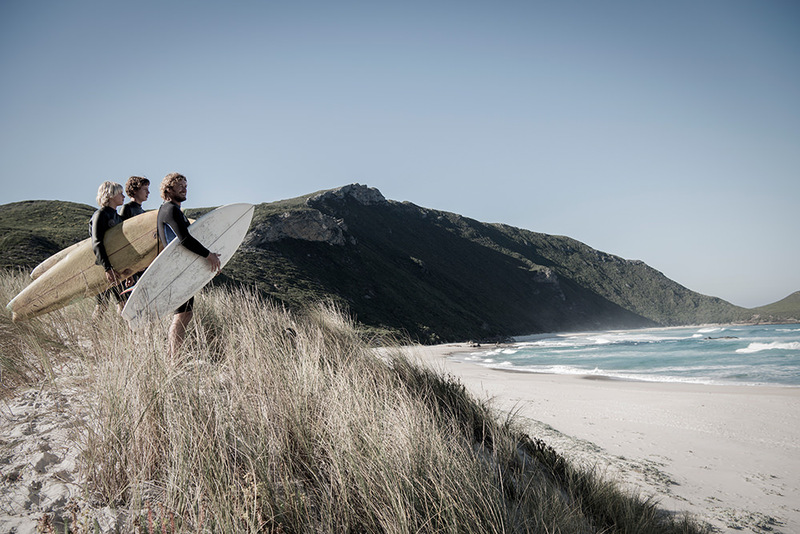 Set in mid-70s Australia, it stars newcomers Samson Coulter and Ben Spence as teenagers who form an unlikely friendship with an enigmatic surfer (Baker) and his wife (Elizabeth Debicki), who push them to take risks in this coming-of-age drama. Baker co-produced Breath along with Johnson and Jamie Hilton, and he also co-wrote the feature alongside Winton and Top of the Lake writer Gerard Lee. As such, by the time it came to making the film, he had lived and breathed the story for so long, his vision for it was incredibly clear. 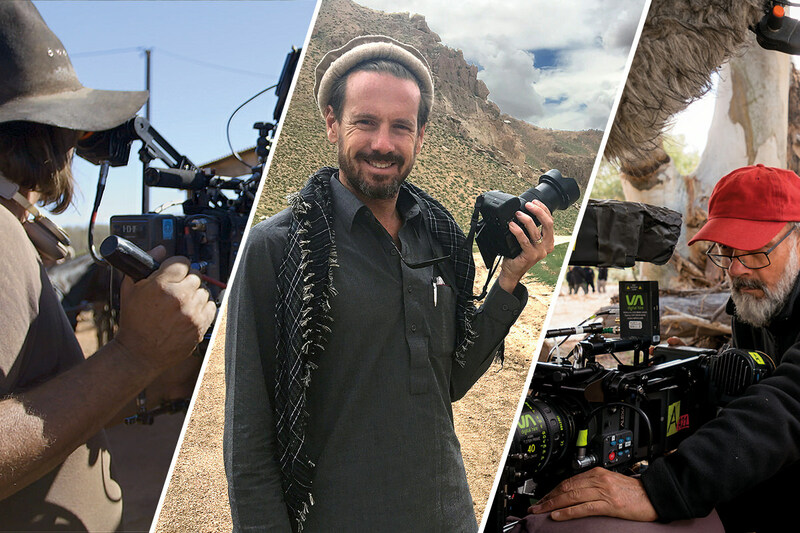 Even then, the shoot presented some unique challenges – not just for a debut feature director, but for any director. Marden Dean was the cinematographer for Breath, but a specific water cinematographer – Rick Rifici – was brought on to capture the incredible surfing scenes, which provide pivotal moments for Pikelet (Coulter) and Loonie (Spence). “We used one camera and we had one cinematographer,” Baker says of those shots (it was filmed on a RED at 6K). The film, which has a raw, realistic and pared-back aesthetic, took inspiration from photography of the time. They also made capturing those shots a priority. So even though in the story, many of those moments happen early in the day, they were filmed whenever they could get them. Baker says they just had to throw themselves into it. Baker has directed episodes of The Mentalist, which he starred in for seven seasons, and The Guardian. And he says the biggest difference between film and television has been time. “When I would direct an episode of TV, I would have six days to prep it [but] I'd be prepping it while I was shooting an episode as an actor. So in a lighting turnaround I'd run over and do casting and then I'd… zip out at lunchtime and look at locations.” he says, adding that TV directors usually get seven full days of prep. He says comparatively it was a “joy” to have eight weeks of pre-production and six weeks to shoot it. “[Then there was] a substantial amount of time to completely engage in all the aspects of post-production, that are largely ignored for some reason but make cinema what it is, which is sound design and composing music and mixing,” he says. That said, he feels like the episodes of TV he’s directed are somewhat standalone pieces as well, even though they’re part of something bigger. “If you ever saw any of the episodes of TV that I directed I made little movies anyway,” he says, which made the idea of his own feature even more thrilling. Breath also marks Baker’s first screenwriting credit – he co-wrote the screenplay with the novel’s author Tim Winton and veteran screenwriter Gerard Lee. Winton would call Baker while he was in between takes on The Mentalist and they had a meeting in Perth about a year before cameras started rolling. But even when the script was complete, Baker says the writing process doesn't stop. “You're authoring the whole way through,” he says, often suggesting lines for the actors during production. Baker was adamant they find actual surfers to fill the roles of Pikelet and Loonie, and a national campaign was started by Nikki Barrett casting, using both social media and traditional channels. After a year they had found the pair – Samson Coulter, from Sydney’s Northern Beaches, was to play Pikelet and Ben Spence, from WA’s Margaret River, would be Loonie. Baker says as a director “you use every trick you can” to draw out the raw performances from the untrained actors. “The main thing is you create an environment where they feel allowed to be able to be kids, to be themselves and you encourage that in their performances,” he says. Winton gave permission to shoot Breath on the Californian coast, but Baker and Johnson were keen to keep it in Western Australia. During the writing process Baker would drive up and down the coast from Perth to Albany, searching for the beaches that would make up their location for Breath – which is when he came across the town of Denmark. Geographically and in terms of the look, it was perfect. And thanks to assistance from Screen Australia and Screenwest, and government economic and social development agency Great Southern Development Commission, it made sense from a logistical and budget point of view too. “[Tim’s] relationship in his writing to a sense of place is very strong,” Baker says on the decision to shoot on location. Breath is in Australian cinemas from 3 May. It’s distributed by Roadshow Films. Directors Yolanda Ramke and Ben Howling talk about their experience directing their first feature film Cargo.